Preparing your taxes shouldn’t have to be a burden. At Y & H Income Tax Services, LLC, we feel that it should be a pleasant experience with a true professional. You should be treated with respect and courtesy. 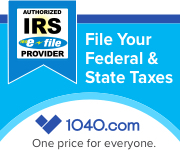 We accurately and professionally prepare individual and small business tax returns at significantly lower prices than most CPA firms. We have a wide range of tax services including but not limited to electronic filing of your income tax return, and refund services. We know how overwhelming it can be to run a small business. Let us handle the financial, accounting and tax reporting area of your business. We are confident; we can assist you and provide you the services you need. Feel free to browse through our site and email us with any questions or suggestions. Our office is open year round, offering extended hours during tax season. Please contact us to schedule your appointment today or book online. Thank you.